People often use the terms ‘training’ and ‘learning and development’ interchangeably, but they mean different things. Training is a sub-set of learning and development. Training was a terminology used in yesteryears, we now use the term – ‘learning and development’. 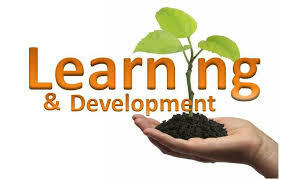 I had once asked a trainer during a training session, why you use, learning and development instead of training. The L&D Manager said to me – “Training is for dogs, you’re a manager, it’s learning and development for you.” That stuck to me! It registered that training is one dimensional, whereas learning and development is a multi-dimensional approach to human resource development. To break it down further – learning is a process of acquiring knowledge, development is a process of applying the knowledge and converting it into a skill, training is a process in which an attempt is made to impart the knowledge, having said that, they both are inextricably linked to each other. So we too have to make that transition in our minds. Over the years L&D has redefined itself, recharged and emerged stronger than before. Companies are allocating higher budgets to L&D departments, more man hours are being assigned to them and across industries L&D is being taken seriously. We have even found ways to find out ROI (return on investment) of our training sessions. Most organization adopt a top-down approach for L&D. L&D is no longer about shuffling people through formal training courses, but about providing the tools to access a variety of informal learning on their own. Workplaces are now using mobile videos, social discussion forums to even VR (Virtual Reality) to impart learning. Gone are the conventional instructor-led classrooms, instead we now read about new learning formats like talk shows and learning festivals. As virtual reality devices are becoming more common and more affordable, the use of virtual training will expand, enhancing learning experiences in every industry in 2017. Also, YouTube is an incredible resource for many reasons, but when it comes to learning one stands out in particular: just-in-time learning (JIT). The platform is the perfect example of quick, easily accessible learning that’s available at all times. 2016 marked the shift toward mobile, device-friendly systems for delivering a growing majority of learning content. This will continue to expand in 2017. Mobile learning comes with the unique benefits of flexibility, portability, and accessibility. We also have to bear in mind that learning is contextual. Employees want their training to look and feel like their day-to-day working, so they can see exactly how to apply new knowledge and skills situationally. This improves productivity, performance, sales – and therefore, your bottom line. I had spoken of ROI earlier on. The focus is no longer on training completion rates, but on the measurable business impact of training. What’s your organizations training ROI? The general benefits of training are undisputed: greater productivity, improved customer retention, increased sales, higher employee engagement, etc. But are you measuring them? To measure specific KPIs, identify them before creating your training program. Ensure the metrics are measurable. You could maybe incorporate a balance scorecard matrix. I have worked on a balance scorecard matrix and totally vouch for it. You need to integrate a testing function into the program, to see how your training is benefiting your operations and your employee’s morale. So, gone are the days when we witnessed – When the going gets tough, it’s time to cut the training budget. Today L&D is an integral part of every organizations growth and imperative for its success. The world around us is causing your Learning and Development department to be more important than ever. So take it seriously! Take note of the rise of the ‘learning & development’ renaissance.